On a recent walk, I noticed the confirmation of winter’s arrival in the lack of color in the neighborhood landscapes. Green and gray dominate this time of year. 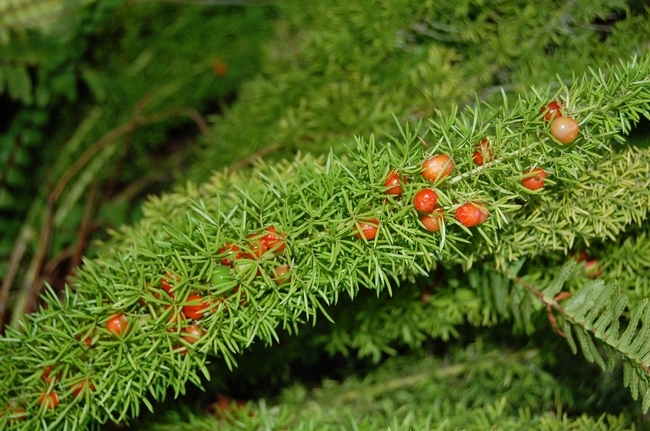 But then I really opened my eyes and noticed the reds, berries mostly. 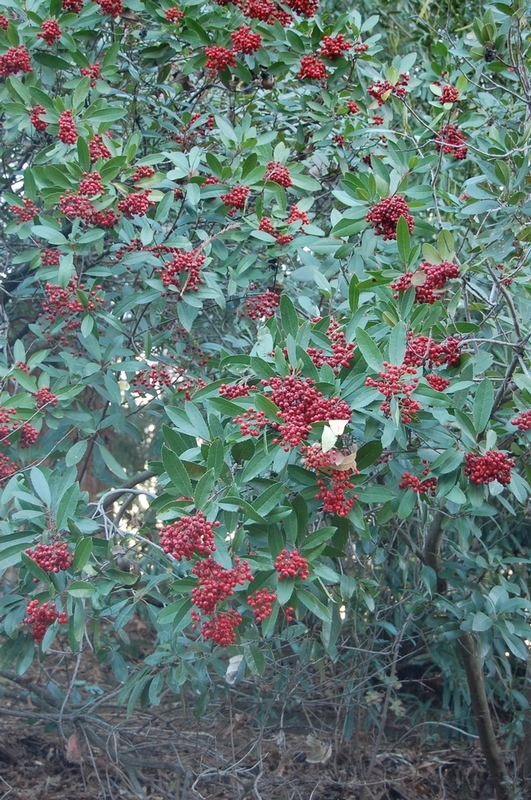 Nandinas, toyons, Malus, Ilex, cotoneasters, firethorn (Pyracantha), asparagus ferns … the list goes on. 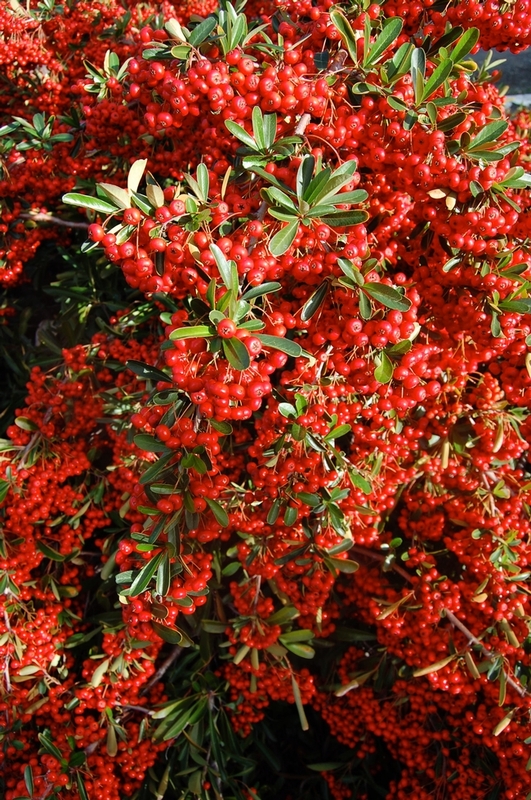 All are laden with bright red berries in the midst of winter. What a treat for the eyes, and the birds, and the squirrels! As to the forethought of the gardeners who planted these lovely shrubs and trees: Kudos. I have realized I’m a spur-of-the-moment landscape planner — a nonplanner, really. I don’t often, if ever, think about how a plant will look in the depth of winter, or the dog days of summer. Consequently, my garden looks rode-hard and put away wet in January and August. 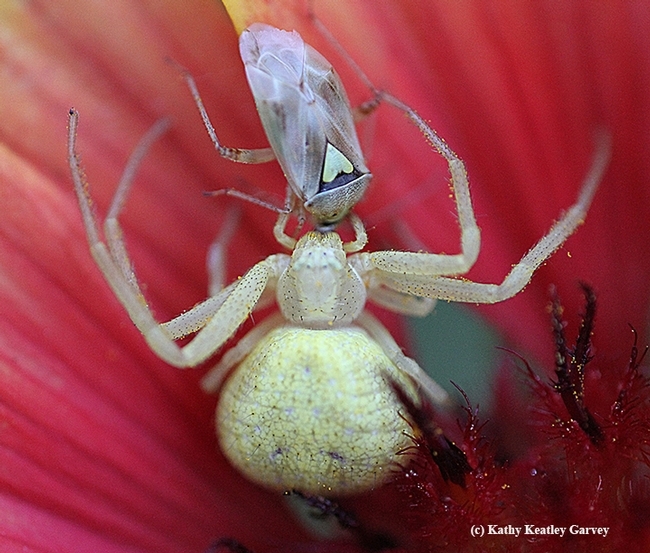 After my eye-opening walk through my Zone 9, northwest Vacaville neighborhood, I may have to rethink my gardening strategy. Or at least come up with a strategy. I see a future with some red-berried shrubs. They make winter so much brighter. 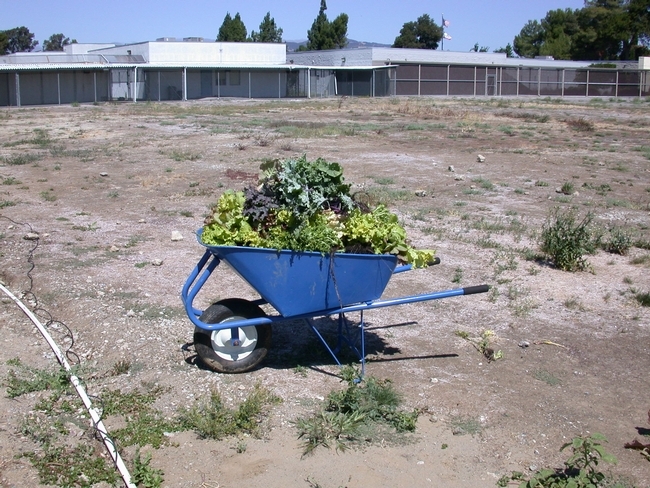 Another good day working at the New Foundations Garden located at the Solano County Juvenile Hall Detention Facility, in Fairfield. 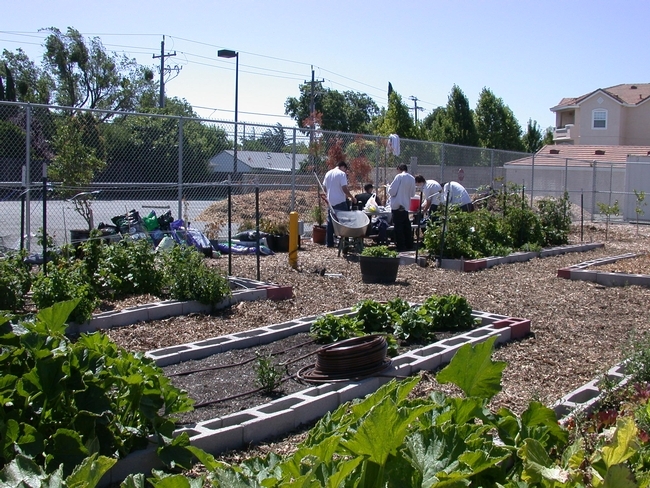 This garden was started last year with the cooperation of the Solano County Grounds Supervisor Jim Simon, the counselors at the facility and the Master Gardeners. The idea is to turn a huge empty field into several types of gardens and paths, along with a teaching area. Over the last few months planting beds were constructed, filled with compost, and made ready to plant. The young men at the detention facility did the work under the supervision of the Master Gardeners. Summer vegetables were planted as well as red and golden raspberries, blackberries and strawberries. A citrus orchard has also been started with the trees off to a good start. So far the young people have learned how to plants seeds and trees, how to install drip irrigation, and how to compost by starting a compost bin. The Master Gardeners have taught the young men how to keep the garden tools clean and ready for use, as well as plant propagation. Over the summer months, zucchini, lettuce, tomatoes, carrots, corn on the cob, watermelon, and pole beans were harvested. Some of the bounty has been donated to the food bank. The blackberries, raspberries and strawberries were eaten right of the vine by these hard-working young people. This last week the beds were cleaned of the summer vegetables, except for a tomato plant, pumpkin, watermelon, and the zucchini as they were still producing. The cleaned beds were then planted with butter lettuce, ‘Pixie’ cabbage, tricolored carrots, broccoli, and green onions as the winter crops to be planted so far. For color, one of the beds was planted with iris and cannas and another bed has been planted with sweet peas. Also on their waiting list the giant pumpkins that were planted early in the year. All are wondering how large they will get and if any will be ready by Halloween. More projects are planned for the coming months, watch for updates.